As WordPress users and busy website owners/bloggers, we can focus hard on the immediate picture – the current blog post, today's administrative task – and lose sight of just how far WordPress has come throughout the last years. A cross-platform content management system built in PHP is all well and good as far as a definition goes, but it hardly tells the whole story. Neither does the detailed timeline of the development of WordPress at the Codex. And it's a pretty interesting story, let's see. Once upon a time, there was a magical place known as the web, and an increasingly popular activity known as blogging. And one of the ways passionate bloggers plied their new trade was on a platform called b2/cafelog. At the time (early 2000's), b2 ran about 2000 blogs. One of those blogs belonged to a young college student named Matt Mullenweg. But then something unfortunate happened: b2's developer, Michel Valdrighi, realized he couldn't continue to actively develop his platform anymore. By 2003, b2 had pretty much been abandoned as a continuing project. Mullenweg posted about the dilemma this abandonment created for passionate bloggers. Then a developer called by the name Mike Little volunteered to assist Matt Mullenweg with the forking of b2/cafelog on SourceForge. And the result was as follows: The creation of a brand new standalone blogging platform, which Mullenweg's friend Christine Tremoulet suggested be named WordPress. 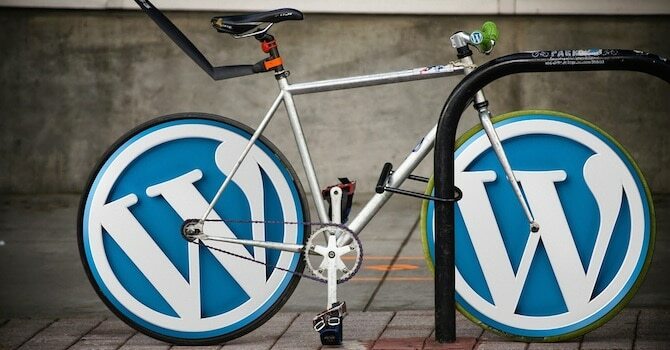 And thus, WordPress was born. WordPress was initially released to the public on May 27, 2003 with version 0.7. WordPress is open-source software released under a GPL (General Public License, defined by Free Software Foundation). This fact is crucial to WordPress's ultimate success, and key to the nature of WordPress's evolution from a blogging platform to a robust content management system (CMS). Open-source means free and freely available for anyone to tinker with, add to, and use, and this enabled a robust user community to grow and support an equally robust development community that creates hundreds of new WordPress themes and plugins each year. WordPress’s popularity grew by leaps and bounds, but it got an early critical boost – ironically, from its biggest competitor. In 2004, Movable Type commanded a significant share of the blogging market. Then Six Apart, its publisher, made significant changes to its licensing terms and pricing structure. That angered a large chunk of its user base, including some quite influential bloggers. Their subsequent migration to WordPress helped give it a significant boost in usage rate and market share. As early as October 2009, the Open Source CMS MarketShare Report stated that WordPress was the strongest brand out of all open-source CMSs. Of course, $1.5 million in initial funding undoubtedly helped foster its creative development. Yet, there is more to WordPress, let's look at its key features. That's an important point, because iterative design and development has been one of WordPress's biggest strengths. The features we've come to love didn't pop up back in version 0.7 – they evolved through an iterative process. 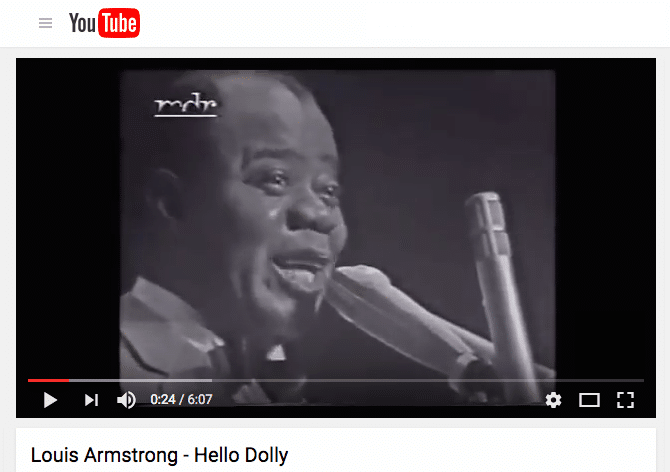 A brief note about WordPress's major releases and version numbering: Mullenweg is a jazz fan, so all the major releases (x.0) are named after famous jazz musicians. During its 13-year lifespan, WordPress has introduced features that changed the game considerably. One of the biggest game-changers in WordPress was the vastly-improved functionality that users were gifted with the addition of WordPress plugins in 2004's v1.2 release (Mingus). 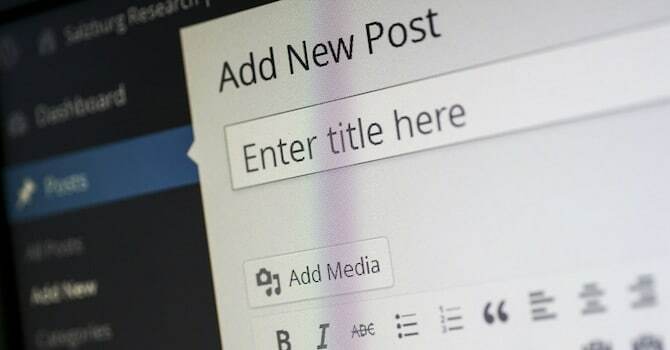 In some ways, this was a radical move, as it allowed developers to write their own plugins for WordPress's growing community and arguably drove much of the shift in perception of WordPress from blogging platform to mature, customizable CMS that's business-ready. At this point, it also unwittingly served to highlight the growing differences between WordPress and the competition. Right about this time is when Moveable Type, which at that time enjoyed the lion's share of the blogging market, changed its licensing and pricing structure, angering a large percentage of its users who then migrated to the new kid on the block: Which was WordPress. Now we have over 40,000 WordPress plugins adding a myriad of functions and customizations, starting from SEO to membership structures, paywalls and many more. And future functionality is limited only by the creativity of tomorrow's web and WordPress developers. WordPress users today, accustomed to a dizzying array of potential WordPress themes, may find it hard to believe, but we didn't always enjoy that smorgasbord of CSS choice. Theming was introduced with version 1.5 in 2005, which came with the first default theme called Kubrick. The biggest innovation lies in the ease of switching WordPress themes. Even non-coders can quite easily install and activate new WordPress themes without touching the core files or code, rendering the platform as a whole more stable. 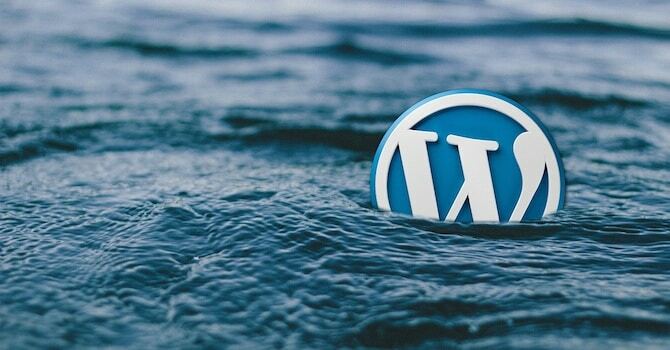 Also therefore, WordPress's nature as an open-source platform, together with the introduction of themes, had a galvanizing effect on the burgeoning WordPress developer community, similar to the introduction of WordPress plugin architecture. Today, there are thousands upon thousands of themes available, both free and premium, in addition to well-coded frameworks that allow more granular control of layout and style, even by non-coders. UI design is crucial to the success of any CMS, blogging platform, or app. As user preferences evolve and technologies advance, UIs must grow with the user base. WordPress is no different when it comes to that. In fact, WordPress has two UIs – the backend admin area (Dashboard) and the front end which is what a WordPress website's users interact with in order to navigate and use the site. Of course, ever since the introduction of WordPress themes with their increasing sophistication and functionality, more of the front end UI is governed by themes or frameworks. Both the backend and front end UIs were revised in several versions. Significant changes were created by 2008's 2.5 release. Following that release, a usability study was conducted, and that led to further changes in version 2.7. That WordPress release redesigned the backend UI and made it much more customizable, to boot – putting the control right back in the user's hands. Version 3.1 in 2011 added the Admin Bar, which now displays across all website pages (posts, pages, archives, etc.) when a user with admin rights is logged in to the dashboard. This gives users the ability to access most of the major task controls from any page on the site directly and immediately. WordPress now powers about 26.9% of the world's websites, and almost 60% of the websites built using a known CMS. In 13 years of WordPress' existence, we've seen four major releases. WordPress is now a pretty mature product, but it continues to evolve, refine, and grow with the times. What's next? Matt Mullenweg has gone on record with his opinion that the future of WordPress lies in social, mobile, and full-featured apps. And of course the WordPress community must continue to stay on top of security issues. But that's the strength of WordPress: The WordPress community that has grown up around it and which continues to shape the WordPress story. I recommend MH Themes. 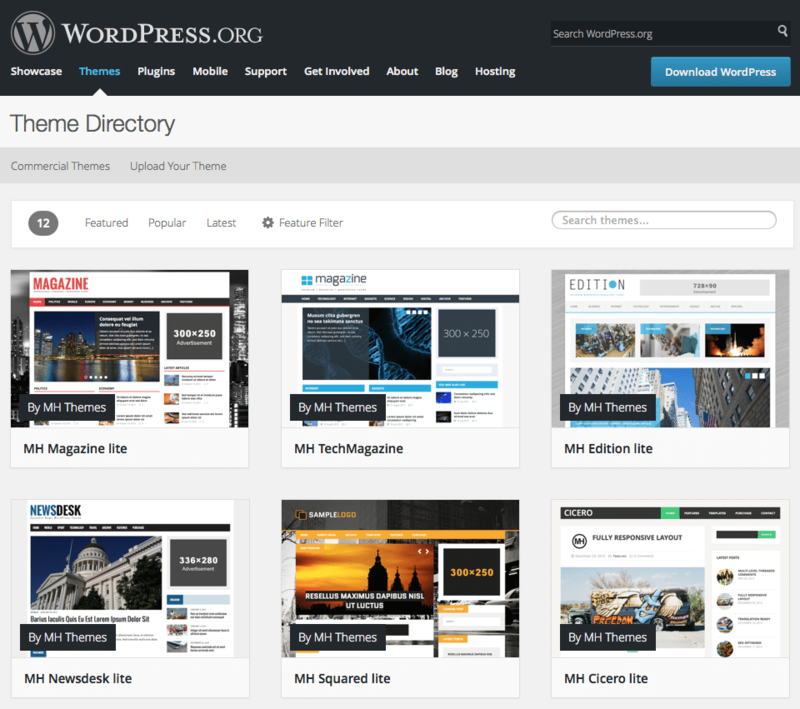 Nice WordPress themes. Thanks Krishna, we’re really happy that you like our WordPress themes. In our showcase you can also see websites from other users who are running our WordPress themes.